The Inland Revenue Department has received positive feedback in a recent Consumer survey. We recently did a small survey on how “responsive” and “fair” our members found the Inland Revenue Department (IR). Perhaps to everyone’s surprise – including IR – the result was positive for the department. Some 71 percent of members thought it responsive and slightly more (75 percent) found it fair. 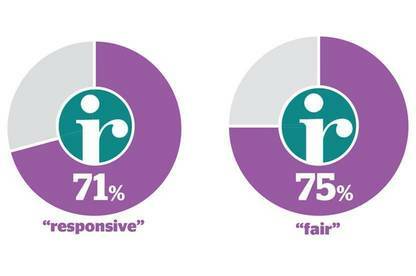 Some 71 percent of members thought IRD responsive and slightly more (75 percent) found it fair. Members were impressed with how easy it was to complete an IR3 return on the department’s website – and how quickly they received their refund. They were also enthusiastic about IR’s call centre. The survey was part of a presentation by Consumer NZ Chief Executive Sue Chetwin on what consumers want from IR. Sue also raised whether the department could tip back the balance more in favour of consumers who don’t need to file an annual return. She reasoned that this might eliminate the need for tax-refund companies. She also suggested IR encourage people to do their own returns – particularly since the department’s website makes this easy to do – and should avoid being punitive if consumers owe small amounts of tax.